Hedgehog and Rabbit enjoy eating cabbages and looking for snails in their peaceful garden. But when a scary swirling wind comes up, the two must find a way to face their fears. 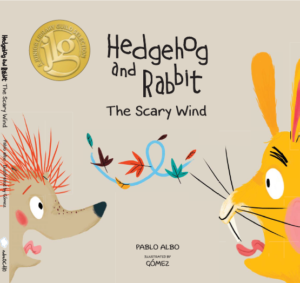 Pablo Albo narrates a hilarious adventure for the youngest of children. Goméz illustrates each title in the collection. RIGHTS SOLD: English, Italian, Korean & Simplified Chinese. 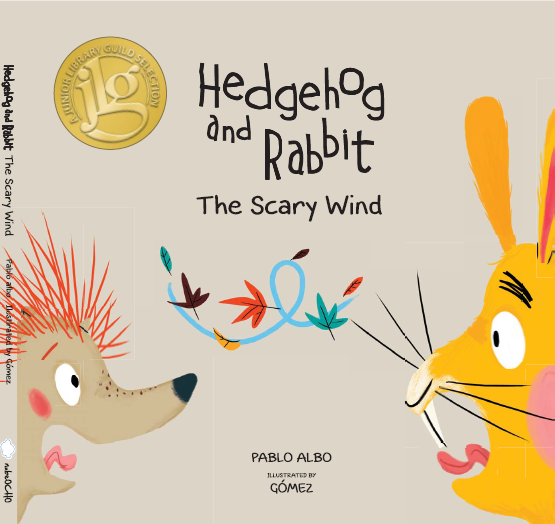 JUNIOR LIBRARY GUILD AWARD.HEDGEHOG AND RABBIT AND THE SCARY WIND / AND THE STUBBORN CLOUD / DISCOVERING THE RAIN. Ediciones NubeOcho/Hardback/225 x 220/36 pages. This entry was posted in Picture Books and tagged NubeOcho on November 2, 2017 by sbarrouillet.